3 Willie Dear. Is mó leagan den amhrán seo atá ar fáil in Éirinn agus thar lear. Seo leagan a fhoghlaim mé ó Sheán Ó Riada. 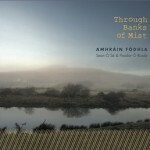 The lyrics and melody are Seán’s own based on a setting of the song in Colm O’Lochlainn’s Irish Street Ballads. 4 Amhráinín Síodraimín. This hilarious song chronicles the adventures of Máirtín, a Bandon tucker who hiked off to Kinsale in his boat in search of romance. Twenty one Kinsale maidens gathered excitedly round him. This was all very fine until his own cailín Molly and her mother arrived in hot pursuit from Bandon. They kidnapped him and in the last verse we find him back in Bandon residing with Molly, her mother and a baby in a cradle!!! 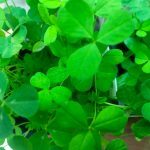 5 Maidin Álainn Gréine The melody is practically identical to that of “An Cnoicín Fraoigh” The words of this powerful patriotic song are from the pen of Máire Bhuí Ní Laoire. The song is an aisling and ranges from the despair of Saxon tyranny to the victory of “Ó Conaill of Uíbh Ráthach agus an lá aige siúd buaite” and on to the hope of the routing of “Sasanaigh agus a n-áltha”. 11 The Galbally Farmer. This song tells the story of a Spailpín who went into service with a farmer from Galbally in Co. Limerick. In a lighted hearted fashion he tells us of the harsh manner in which he was treated. Such was the fate of many Spailpíns. 14 An Cáilín Deas Rua. This fine aisling in which the poet dreams of his marriage to his beloved has one of my very favourite melodies however the last two lines of the sixth verse reveal the reality of the situation. “There is no promise from the sky to the earth / that I did not get from her, but even after all that she left me”. 15 The Green Bushes. Bhí an file amuigh ag siúl dó féin nuair a casadh óighbhean air a bhí ag feitheamh lena fear. Thug an file cuireadh dhí teacht leis féin, is dhein sí amhlaidh nuair a chonaic sí an fear eile ag teacht. Nách ait an mac an saol! 16 Ar Maidin Moch. The poet meets a beautiful woman as he his minding his stock. He describes her great beauty in some detail and asks her if she is Helen of Troy or Céarnait. She tells him she is none of these. She is in fact Éire, who laments her oppression and looks forward to the day when freedom will come. 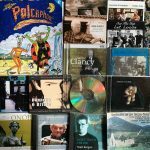 17 The Buck from Bonane Ní gádh míniú ar bith ar an amhrán seo a fhéachann siar ar eachtra iomráiteach a thárla im mBéal Áth’an Ghaorthaidh tráth. Seán Ó Sé I was born in Mrs. Harvey’s Nursing Home in the South Terrace in Cork on the 16th of January 1936. 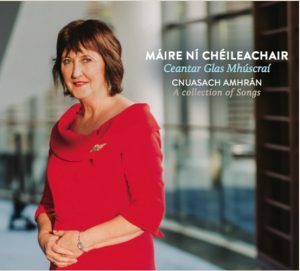 My Mother was Peig Ní Thuama a native Irish speaker from Céim an Fhia, whose father Maidhc came cliamhan isteach to the Céim from Screathan in Cúil Aodha. My Father was Conchubhar Ó Séaghdha from Adrigole on the Beara peninsula. My parents were both teachers in Coomhola west of Bantry. We lived in Ballylickey. My father’s family were all singers. He was a fine singer himself and many’s the song he taught me when I was young. In and around 1962 I was introduced to Seán Ó Riada by Riobard MacGabhráin of Gael-Linn. Seán was already a very well known figure mainly for his film score for the powerful 1916 documentary Mise Éire. By that time he had founded Ceoltóirí Chualann, a group that revolutionised the way bands played Irish traditional music. 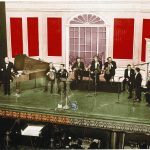 Indeed most of the internationally renowned band The Chieftains were members of Seán’s band and they used the Ó Riada concept very successfully in their own band. Shortly after I met Seán we recorded An Poc ar Buile, written by Dónall Ó Mulláin from Screathan, and indeed it was very successful. I continued to sing for Seán until his untimely death in 1971. Now I work with Peadar, a superb accompanist, whose style allows the singer complete freedom to perform the song as he wishes. And yet his influence is there, everything he does supports the singer and I absolutely love to sing with him. I treasure his friendship and I will always value it. Peadar Ó Riada Born of Cork parents in Dublin, i have lived my life in the Cork Gaeltacht of Cúil Aodha. There was a lot of music in our house. My grandmother, from Cill na Martar, played the concertina and my Clare grandfather, the fiddle. My father was Seán Ó Riada. In a minor way, i have carried on some of his projects. 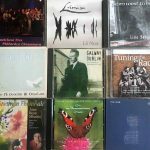 I compose and publish in different genres including choral, traditional, piano etc. I have the odd book to my credit also, including a book on Sean Nós and a children’s book Scéalta Shéamuis. I have been chasing Windmills all my life. Some of the projects were more successful then others. I could boast maybe of the setting up the Acadamh Fódhla, a ‘Hedge School University’ with schools of History, Energy, Land Knowledge and Sean Nós. I have led Cór Chúil Aodha since my father’s death in 1971 and started Cór Ban Chúil Aodha, an all women's choir, to balance the energies. 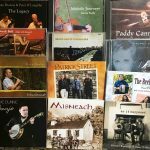 I was lucky enough to be a founding member of Ealaíontoirí Mhuscraí, of Ionad Culturtha Bhaile Mhuirne, of Iontaoibheas Fódhla, of Féile na Laoch, and on occasion a small member of the more modern version of Ceoltóirí Chulann. I broadcast a weekly radio programme on Radio na Gaeltachta. I am a member of the group Triúr with Martin Hayes and Caoimhín Ó Raghallaigh. I also am a member of the band The Drôle with John Kelly and Éamon McGiveny. I have a website at www.peadaroriada.ie. A life with music at it’s centre is a privilege i give thanks for every day. Seán Ó Sé has always been my friend and confidante, especially after the death of my parents when we were a young family, but also, as a comrade and fellow traveller on the unique road of life. Geallaíon grian an tsaoghail orm nuair a bhím ina chuideachta.